Of all the fruit we grow and forage it is the damson that is closest to Mother's heart. To be exact the violet blue beauties that come from the Lyth Valley in Cumbria. Tart aromatic and distinct they make the very best damson gin. The harvest season has just finished and the young maiden trees we planted seven years ago have given us their first crop. The damson has been grown in Cumbria since the 1850s. Originating in Damascus, they found the thin limestone soil of the Lyth Valley much to their liking and thrived. In it's heyday the valley produced about 300 tonnes of damsons, now a small handful of orchards remain. So distinct and delicious are they that Westmorland damsons are listed in the Slow Food Movement's Ark of Taste. And the Westmorland Damson Association has been hard at work for years ensuring the survival of existing orchards and promoting the planting of new ones. So basically drinking damson gin is an act of goodness to which you can wholeheartedly apply yourself. In further damson related news there are exciting times at Mother's Ruin. We have been chosen by Booths to be part of their Christmas range. Yes, yes I know the C-word is a bit jarring in September, but great things take careful planning and usually a little lead time. 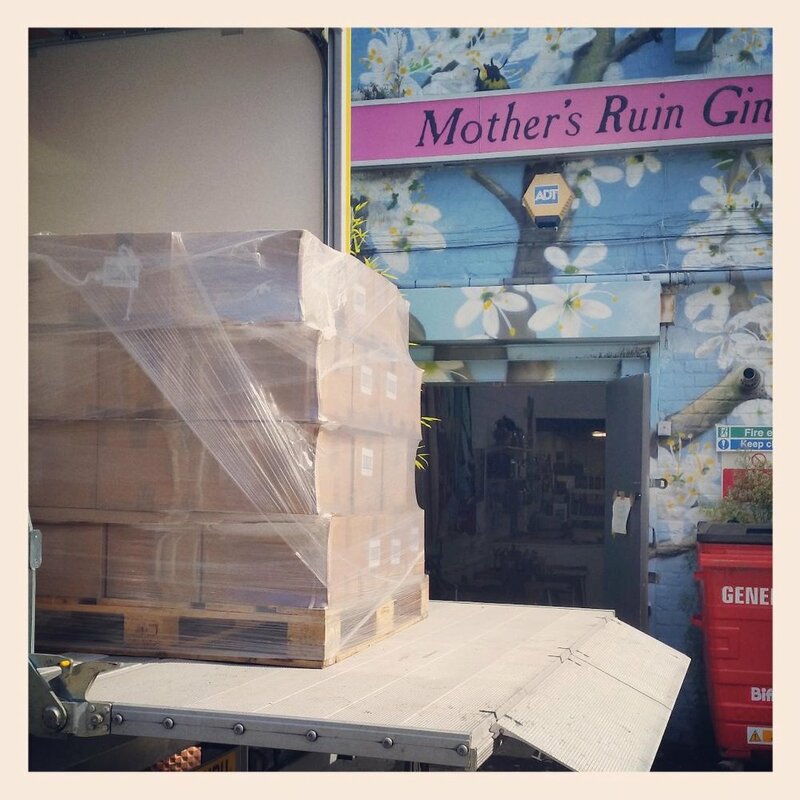 Mother's Ruin Damson Gin (along with our gorgeous vanilla infused Cassis) will be travelling home on a pallet to be on Booths' shelves from October. We are thrilled to be part of Booths, which as any proud Northerner will tell you is probably the best supermarket in the world. 35mls each of Damson gin, Bourbon (in the bar we use Maker's Mark) and fresh lemon juice. A dash of orange spice bitters. (Angostura or Regan's). Place all in a shaker with plenty of ice, shake well and hard, tip all into a glass and garnish with a generous curl of lemon zest. Lip smacking loveliness - drink immediately and contemplate the mighty damson thriving for another thousand years.